Today is Luke’s 2nd birthday! Happy birthday to our beautiful and brilliant angel baby. We had a great party with friends and family hanging out eating pizza from Gino’s of Northport, made special by Mikey with Daiya cheese, throwing rocks in the water, and spending a nice summer Sunday together. 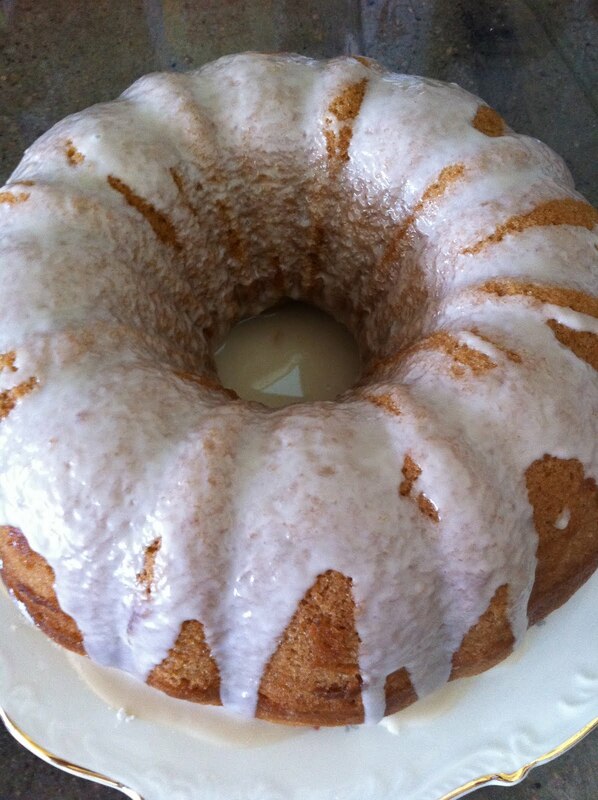 For the cake, I made this delicious and very moist bundt cake, topped with my own special glaze. This batter can be used for layer cakes, cupcakes or bundt cake. Sift the dry ingredients together in a big bowl. In a separate bowl, whisk together the water and oil. Add the wet ingredients into the dry and mix thoroughly. When combined, add the lemon juice, stir in quickly and pour into bundt pan. Bake for 50 to 55 minutes or until cake tests done. Top with glaze an hour or so before serving so it has time to set. Sing happy birthday and enjoy!